In October 2018, on behalf of New Frontiers In Food, Vitagora coordinated a partnership mission in Canada with our local partner Natural Products Canada, in parallel to the BENEFIQ, the healthy food event organised by INAF (Institut sur la Nutrition et l’Alimentation Fonctionnelle) in Québec. The delegation gathered together 13 members from Vitagora and Wagralim. 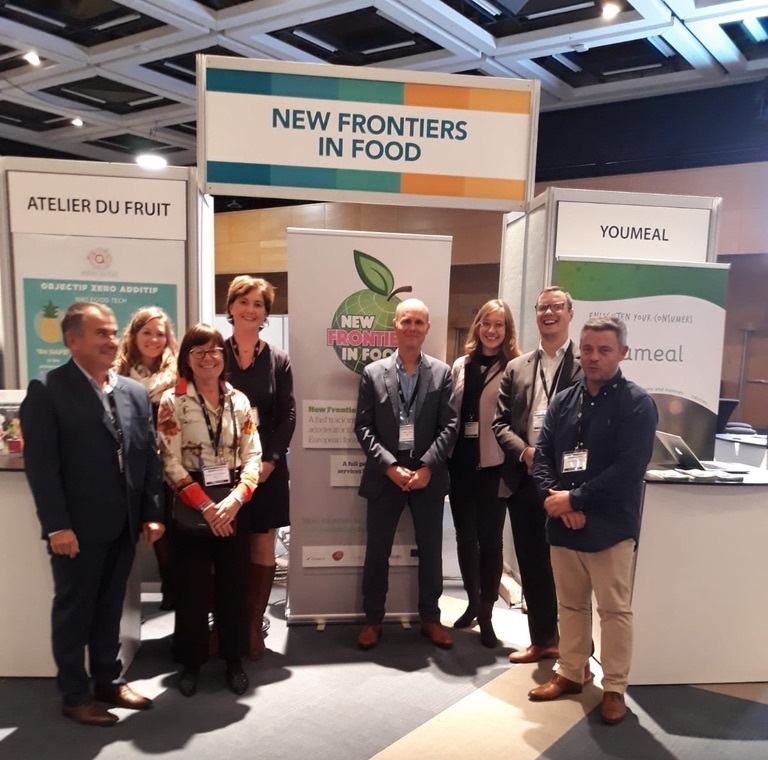 Within this delegation, 6 companies were part of the New Frontiers In Food Fast Forward cohort: Atelier du Fruit (FR), BIOptimize (FR), Extense Pharma (BE), Improve (FR), Vesale Pharma (BE) et Youmeal (BE). This mission enabled the companies to better understand the Canadian ecosystem, including public players, research teams and Canadian companies. Also, the NFIF cohort was able to validate the market potential of their specific product and service sector. Collaborations were initiated, both at academic and industrial levels. In average, each company within the NFIF cohort completed a programme of 17 personalised matchmaking meetings.The delegation has also been strongly supported by Québec International including its Créneau Aliments Santé. Moreover, strong relationships were developed within the delegation, resulting in new collaborations signed at the European level.